PETA (People for Ethical Treatment of Animals) is famous to rope in hot celebs for supporting animal welfare across the globe. The latest name to join the bandwagon is Harshvardhan Rane, who made a debut in Hindi movies with Sanam Teri Kasam. 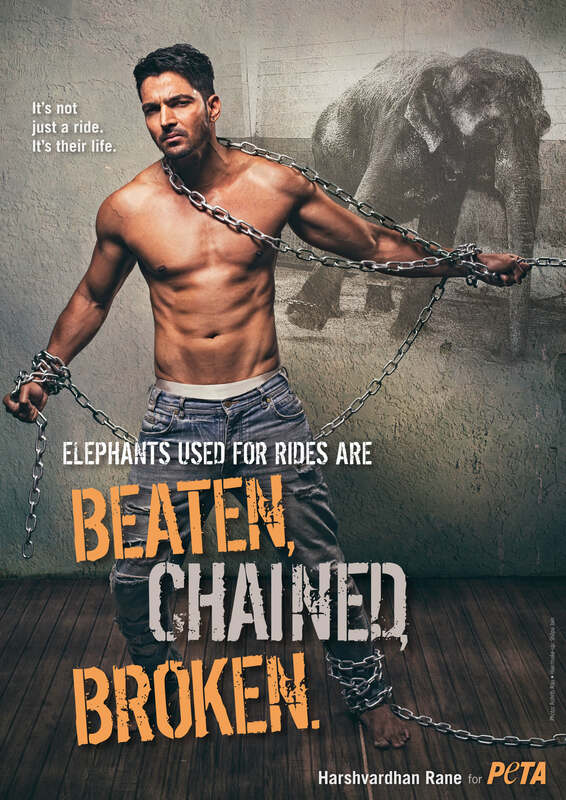 The actor is featured in PETA’s latest campaign that highlights the misery of elephants that are used for tourist “joyrides”. Now with a poster boy like that won’t you be listening to each word he has to say? So be kind and skip the elephant joyrides.